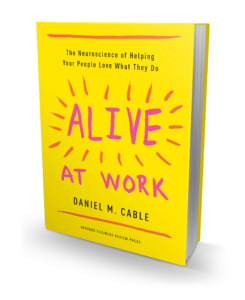 In this bold, enlightening book, social psychologist and professor Daniel M. Cable takes leaders into the minds of workers and reveals the surprising secret to restoring their zest for work. Disengagement isn’t a motivational problem, it’s a biological one. Humans aren’t built for routine and repetition. We’re designed to crave exploration, experimentation, and learning—in fact, there’s a part of our brains, which scientists have coined “the seeking system,” that rewards us for taking part in these activities. But the way organizations are run prevents many of us from following our innate impulses. As a result, we shut down. Things need to change. More than ever before, employee creativity and engagement are needed to win. Fortunately, it won’t take an extensive overhaul of your organizational culture to get started. With small nudges, you can personally help people reach their fullest potential. Filled with fascinating stories from the author’s extensive research, Alive at Work is the inspirational guide that you need to tap into the passion, creativity, and purpose fizzing beneath the surface of every person who falls under your leadership. 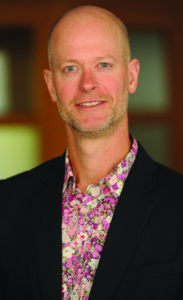 Daniel M. Cable is a Professor of Organizational Behavior at London Business School. He is a two-time winner of the “Best Article in Organizational Behavior” from the Academy of Management and has been ranked among the top 25 most influential management scholars in the world.